To achieve optimal oral health, your teeth are not the only things that need looking after. Your soft tissues such as your gums are just as important. 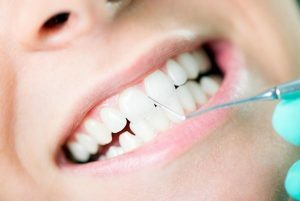 Gum disease is the second leading cause of tooth loss. Hence, healthy gums mean lesser risks of losing your teeth. Gum disease passes through different stages. Gingivitis and periodontal disease are not the same in terms of severity. The latter is the progressed form of the disease and cannot be treated but can only be managed. To treat gum disease, time is of outmost importance. Gingivitis is the early stage of gum disease. It can be easily reversed if attended to immediately. With gingivitis, the gums are inflamed, red and swollen, and easily bleed when brushed. This is caused by plaque and tartar buildup. In this stage, the teeth are still firmly in place, and no bone or tissue damage has occurred yet. As gingivitis progresses and tartar continue to irritate the gums, the gums slowly recede exposing the teeth’s roots. This causes tooth sensitivity. Pain is felt whenever you eat or drink something cold or hot. Further neglect causes the gums to recede farther, deepening the pockets. As the pockets deepen, teeth loosen, hence tooth loss. As noted, time is of the essence with this dental problem. In treating gum disease, the core goals are habit correction and formation. The cause of the gum disease is first identified. Most cases are caused by poor dental hygiene. In this case a dental scale and clean does the trick. The teeth are cleaned to remove tartar buildup. Fine instruments are used to scrape your teeth clean. Afterwards, your teeth are smoothened. Plaque cannot stick to teeth with smooth surfaces. We also recommend eating a healthy diet to help your gums heal. You will be advised to schedule regular dental check-ups so your dentist can monitor your progress. In time, the gums heal and reattach themselves to your teeth. Good oral hygiene practices should be observed going forward. Fight gum disease with our comprehensive treatments at Ria Family Dental. Our job is to make sure that you achieve optimal oral health for a healthier and brighter smile.